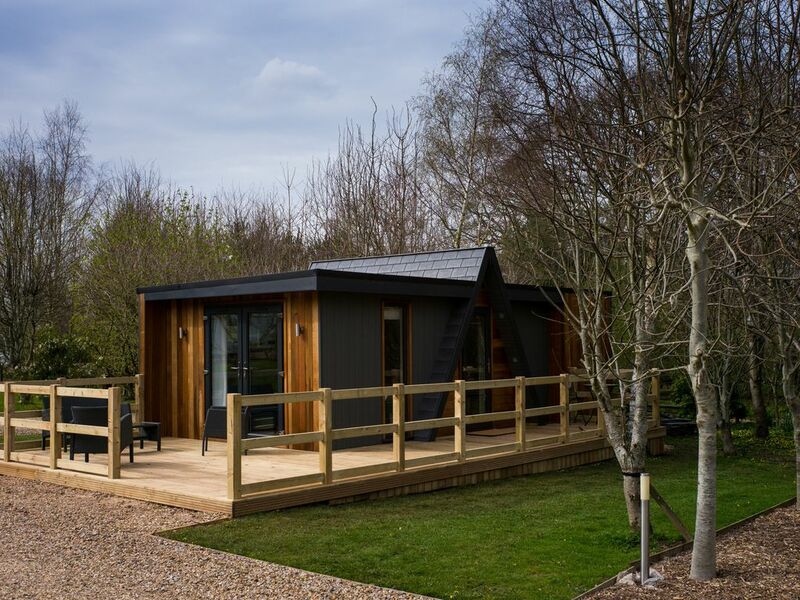 Our contemporary styled lodge is new for this year, featuring an open plan design situated at the edge of our small woodland with a large private deck to relax on. Inside there is a spacious lounge with TV, dining table & chairs and separate bedroom area with a full size double bed. There is a fully featured kitchen with oven, dual rings, microwave, fridge, kettle & toaster. There is also a bathroom with shower, sink & loo.